The area of Keri in Zakynthos perfectly combines the green of the vegetation and the olive trees and the blue of the sea. You can literally swim while looking at the olive trees that cover the area of the lake of Keri and the hill where the village is built. Keri is a quiet and peaceful resort that will certainly help you relax while at the same it will offer you with all the things you may need in your everyday life. 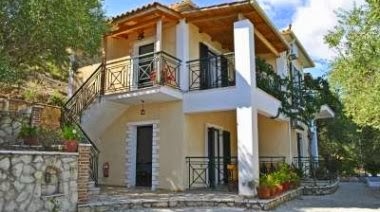 Keri is located in the south west part of Zakynthos, 13km away from the international airport of the island and 16km away from the city of Zakynthos. The buses run on a daily basis to and from the area, not very often though, while you won’t face any problems if you choose a taxi for you transportation. Moreover you can rent a car from a company that is based in the resort or from any other car hire company on the island, since most of them deliver their cars to all the accommodations in Keri. 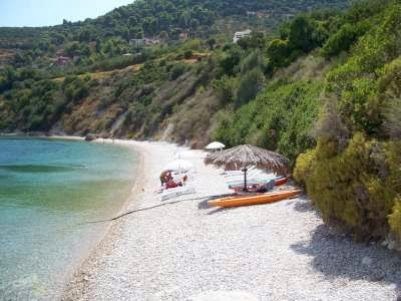 The beach of Keri consists of sand and pebbles. There are available some umbrellas and sun beds as well as some trees by the beach that will provide you with their natural shade. 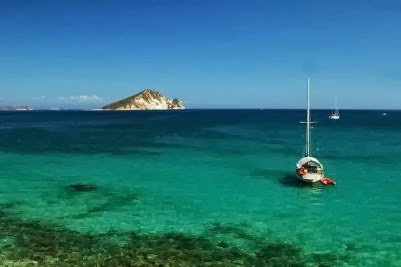 You will be swimming while having an amazing view towards the Marathonisi (Turtle) Island, which you can easily visit anytime you want by hiring a boat from the little port that is located next to the beach. Marathonisi is certainly worth a visit since it offers a unique landscape and two beautiful and unique beaches. You can also discover by boat the caves around the area of Keri or live a unique scuba diving experience in the crystal clear waters of the area, by taking a course in one of the diving centers that are based there. Walking along the road next to the beach you will be able to find exceptional fish taverns and restaurants as well as fast food restaurants. 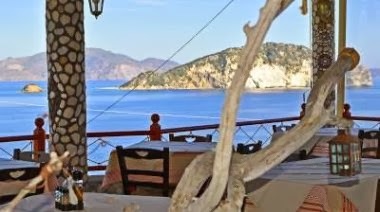 There are also some cafes and bars offering relaxation, nice music and great view over the Marathonisi island and the sea. 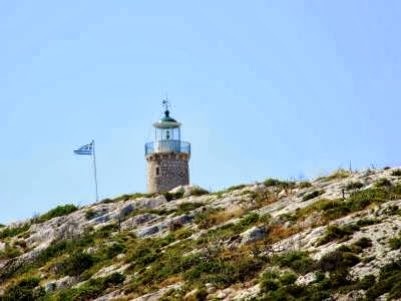 Don’t forget to visit the lighthouse of Keri, one of the best places in Zakynthos to watch the sunset. Also you should look for the Spring of Herodotos, an archeological sight of great historical value. Visit the villages and explore the areas that are close to Keri. Trekking in routes among the olive trees will help you see another part of Zakynthos and be closer to the nature of the island. Last but not least, don’t miss visiting the area of Marathias, which is about 1.5km from the beach of Keri. Marathias is a one of its kind beach, ideal for swimming and relaxation. 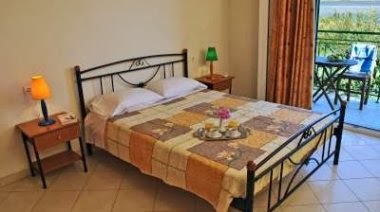 If you choose the resort of Keri for your holidays, we’ll be more than happy to recommend to you, some of the best accommodations in the area. We have checked them out, we know them inside and we are sure that we have an ideal proposal for everyone. 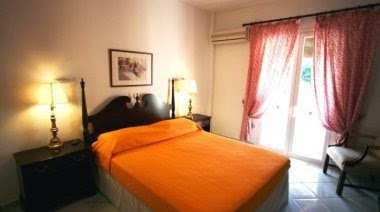 Herodotos Apartments is a quiet, well maintained and recently renovated (2013), in the biggest part, accommodation. It is located 300m from the center of Keri and its beach, thus it gives you the opportunity to enjoy all of the facilities that the area has to offer. 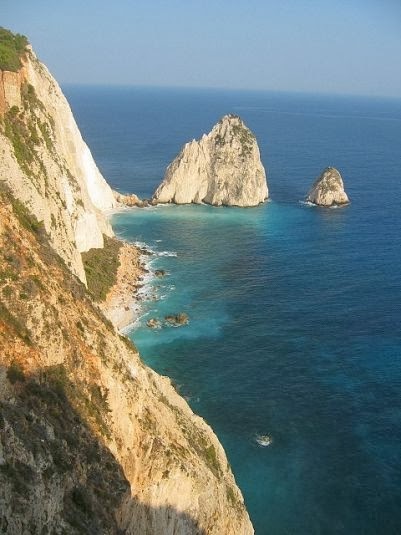 That includes excursions around and outside the island of Zakynthos, as well as hiring any type of vehicle. Herodotos Apartments ranks 2nd in Keri in the speciality lodging category on Tripadvisor. Facilities: Garden, Family Rooms, Air Condition, Children's Playground, Transport from/to the airport, Free Wi-Fi, Internet access in public areas, Free private parking is possible on site. Minimum low season price: 15€ per night in a studios for 2 adults. Minimum high season price: 47€ per night in a studios for 2 adults. Kookis Village is a very new complex of fully equipped and independent luxury villas. Private pool and a restaurant with a special menu are just some of the many facilities that this accommodation offers. 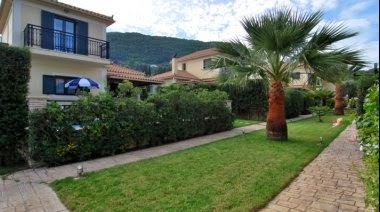 It is located 250m away from the center and the beach of Keri and is ideal for those who are looking for a special luxurious place to spend their holidays, in a relaxing and comfortable environment. Koukis Village Luxury Villas ranks 4th in Keri in the speciality lodging category on Tripadvisor. Facilities: Outdoor Swimming Pool, Garden, Bar, Air Condition, Restaurant (à la carte), Children's Playground, Terrace, VIP Room Facilities, Massage, Breakfast in the Room, Room Service, BBQ Facilities, Transport from/to the airport, Free Wi-Fi Internet access in the rooms and public areas, Free private parking is possible on site. Minimum low season price: 148€ per night in a deluxe villa with private pool for 2 adults and 2 children. 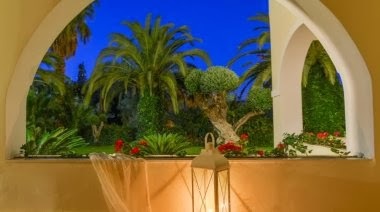 Minimum high season price: 285€ per night in a deluxe villa with private pool for 2 adults and 2 children. 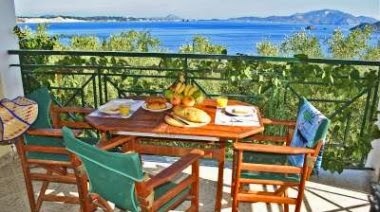 Maria Sudios is a small neat accommodation, located 500m from the beach and the center of Keri. The rooms are clean and tidy due to the special care of the owner herself. 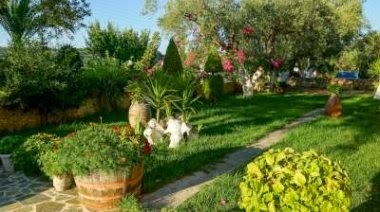 Maria Studios will give you quiet and relaxing holidays at reasonable prices, whereas every morning you will wake up surrounded by the olive trees and the beautiful vegetation of the area. Facilities: Garden, Cooking Facilities, BBQ Facilities, Free Wi-Fi Internet access in the rooms and public areas, Free private parking is possible on site. Minimum high season price: 35€ per night in a studios for 2 adults. 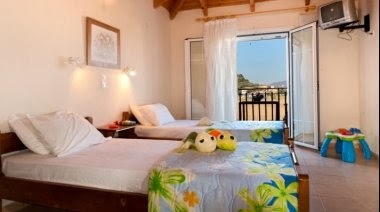 Nikos Studios are located in a quiet area of Keri, in a distance of 500m from the center and the beach of the area. They offer basic facilities, great level of cleanliness and are run by a hospitable family that will do anything to take care of their guests. 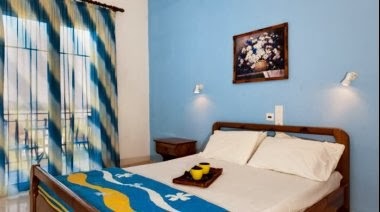 Nikos Studios is a low – budget accommodation for those want a relaxing, clean and hospitable place for their holidays. 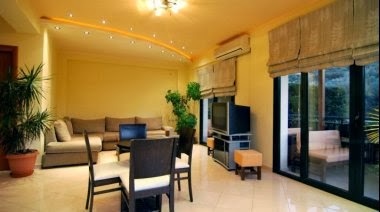 Facilities: Garden, Air Condition, Cooking Facilities, Free private parking is possible on site, Furnished Balcony. Minimum high season price: 25€ per night in a studios for 2 adults. 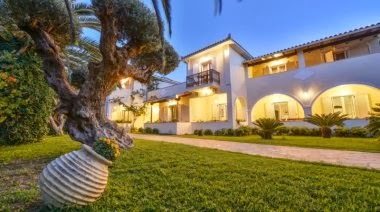 Villa Dionysios Studios is located 350m from the center and the beach of Keri. It is a place where cleanliness comes and special attention is given to every little detail by the owner herself, in order to provide her guest with a safe, quiet and neat accommodation for their holidays. 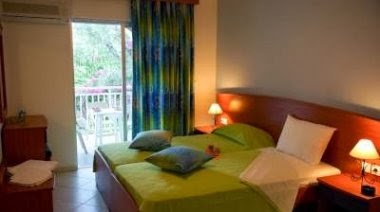 The spacious rooms of Villa Dionysios are ideal for families and couples and are in the middle of a well maintained garden that will surely help you to relax and escape from your everyday life and worries. Facilities: Garden, Air Condition, Cooking Facilities, Furnished Balcony, Garden, BBQ Facilities, Wi-Fi Internet access in the rooms and public areas (available at extra cost), Free private parking is possible on site. 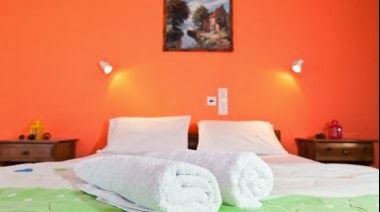 Minimum low season price: 20€ per night in a studios for 2 adults. Minimum high season price: 40€ per night in a studios for 2 adults. Facilities: Garden, Air condition, Cooking facilities, Free Wi-Fi Internet access in the rooms and public areas, Free public parking nearby. 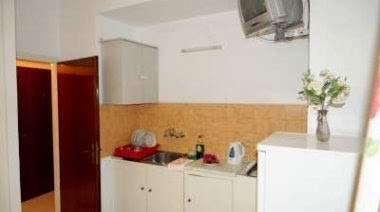 Minimum low season price: 40€ per night in a studios for 2 adults. Minimum high season price: 75€ per night in a studios for 2 adults. Pavezzo Apartments are located in Marathias, which is a small area 1.5km away from the lake of Keri. They were built in 2006 and they offer spacious, fully equipped apartments, ideal fro families, couples and even groups of friends that are looking for a quiet and relaxing place to spend their holidays. If you walk for about 150m you will get yourself to the fantastic and distinctive beach of Marathias that is ideal for swimming because of its crystal clear waters. Facilities: Garden, Air condition, Free shuttle service, free bicycles, Free private parking is possible on site. Minimum low season price: 55€ per night in an apartment for 4 adults. Minimum high season price: 75€ per night in an apartment for 4 adults.